Whether you’re hunkered down under the polar vortex in North America or are bracing for the predicted snowfall in Europe, you are officially passing through what is known as “i giorni della merla” (the days of the blackbird), the period straddling the end of January and beginning of February that is traditionally considered the coldest of the year. It is during this week that “Netflix and chill” becomes “chilly, so Netflix”, as freezing temperatures make the idea of staying home in the evening with a movie and popcorn by far the most appealing option. If you’ve already binged your way through your favorites and need some suggestions to roll you over into the warmer days of spring, here are ten iconic scenes from some of the most famous and beloved Italian movies to inspire you. You may already be familiar with some, and can go back and rewatch these timeless classics again. Others, however, are instantly recognizable to any Italian but virtually unknown outside of Italy, and may help you discover a new-to-you masterpiece. Either way, here’s to chilling when it’s chilly with a great Italian movie! Marcello Mastroianni was the epitome of the Italian leading man for much of the Italian cinema’s post-war golden age, and his mix of charisma, looks, and talent has made many of his roles timeless—none more so than those played opposite the unparalleled Sophia Loren. This cinematic couple (on screen, though not in life) starred in numerous classics, but by far their most famous scene is the lighthearted striptease by prostitute Mara (Loren) for Augusto (Mastroianni) that has the latter howling like a gleeful wolf. Sophia Loren was one of the greatest actresses of the 20th century, a master at everything from comedic to romantic roles. Her performance in the wrenching war drama La Ciociara is considered among her greatest (and earned her an Academy Award), and the final 15 minutes of the film—beginning with the scene of Cesira (Loren) and her adolescent daughter Rosetta (Brown) being raped in an abandoned church—are among the most haunting in film history. Italy’s golden age of cinema was preceded by an equally important neorealist period in the years immediately following the end of World War II, and this film is considered a masterpiece of the genre. Anna Magnani’s turn as Pina shot and collapsing in the street by the Gestapo is one of the most famous scenes of all time, and cemented her in the firmament of the finest dramatic actresses of our time. Another masterpiece of postwar neorealism is this poignant tale of father and son, and a family’s struggle to survive in poverty. There are a number of moving scenes in this Italian classic, but by far the most iconic is the film’s final shot following the father and son as they walk hand-in-hand after a failed attempt to steal a bicycle, tears streaming down both their faces. You would have to be an Italian cinema completest to know these famous scenes from Italian films, featuring actors who are widely beloved in Italy but never quite made it big across the sea. Alberto Sordi is one of Italy’s most famous comedic actors, known for his heavy Roman accent and on-the-nose parodies of some of the country’s most recognized cultural stereotypes. 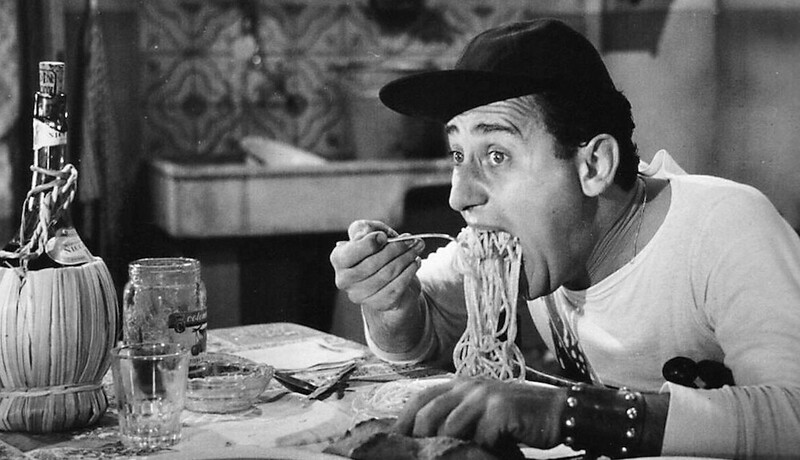 Any Italian can recite a number of Sordi’s most famous scenes, but a perennial favorite is his turn as Nando Mericoni, a devotee of new-fangled American culture who rejects “American” food for a steaming plate of maccheroni. Like this article? Don't miss "Top 10 Italian Movies." Another of Italy’s most beloved comedians who never quite made it outside the country, Totò (Antonio de Curtis) was a Neapolitan character actor whose cinematic roles made him a cultural icon, along with his poetry and music in Neapolitan dialect. 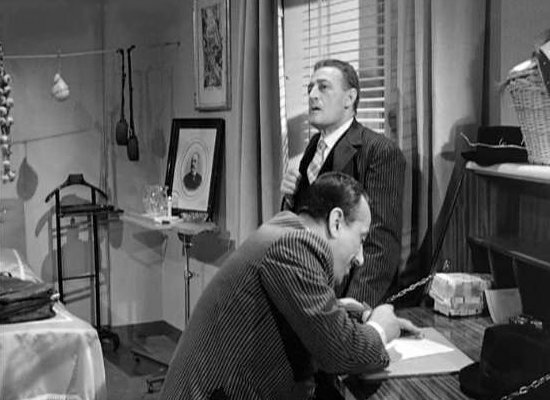 Totò was best at depicting uneducated yet pompous characters navigating situations above their station or ability, and no scene shows this better then when Totò and his brother (de Filippo) sit down to write a letter, sprinkling the text liberally with senseless punctuation. The character of Ugo Fantozzi, brought to life by comic actor Paolo Villaggio, has become shorthand for a bungling oaf, plagued by bad luck and unfortunate circumstance. Villaggio’s character was the star of a television series and ten films between the 1970s and 1990s, and to get a taste of the slapstick style that made both the actor and character famous, watch Fantozzi and his family celebrating New Year’s Eve. This film features some of Italy’s most famous actors in the 1970s playing a series of pranks, or zingerate, around which the plot is almost entirely woven. There are a number of highlights, including the four speaking in nonsense to confuse a police officer, but most famous is the scene in which the middle-aged friends run past a train as it pulls out of the Florence station soundly slapping the faces of passengers leaning out of the train windows. This tear-jerker of a final scene is a favorite both with Italians and with romantics across the globe, and the perfect iconic scene to wrap up this list fit for a chilly evening at home. The story of the fatherly projectionist Alfredo (Noiret) and the boy Totò (played as an adult by Perrin) is one for the ages. Go ahead and get choked up as Alfredo’s final gift of a highlight reel of edited kisses rolls...we won’t judge.